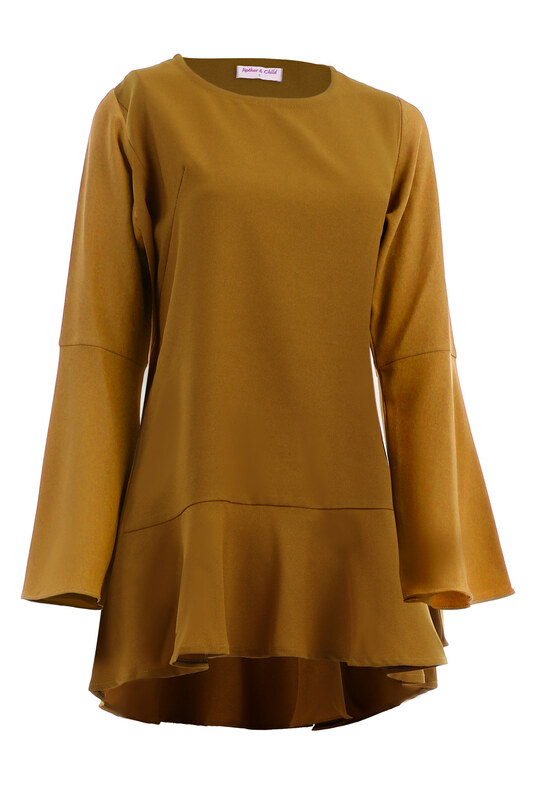 Stunning and trending flute sleeve front panel blouse. Simple but stylish. Pair with long panel skirt or loose trouser. Easy care crepe polyester fabric. Suitable for casual wear.